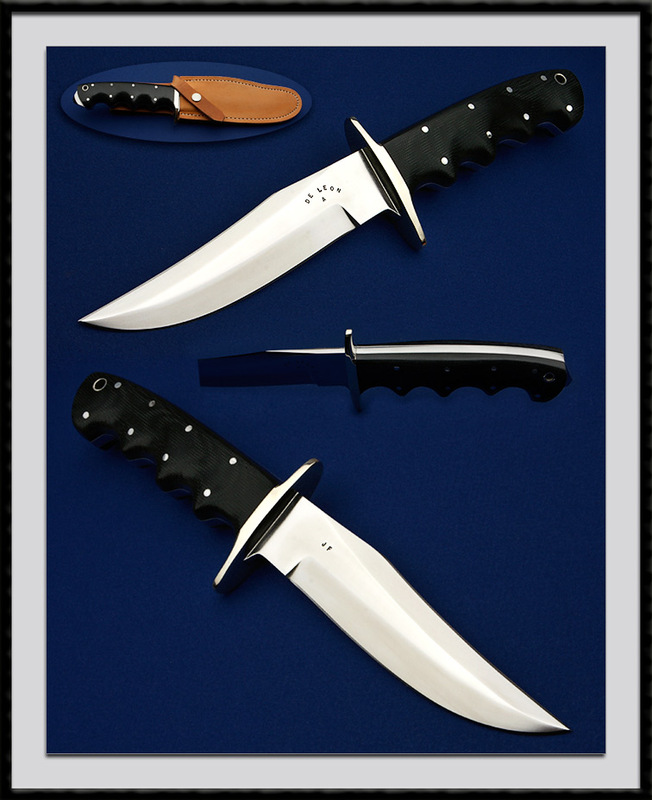 De Leon from Texas, known for his superior fit and finish made this model JF Fighter with a 6" ATS-34 blade, OAL = 11 1/2", Nickel Silver fittings, GBlack Canvas Micarta handle slabs accented with 8 SS pins. Comes with the Heavy duty Custom sheath pictured. New, direct from Mr. De Leon's shop.